This is the cast iron Grate Frame for both the Boiler and non Boiler version of the Yarrman Stove. This part holds the inner grate in place and is the main frame for holding your fire bed at the right height for the stove to work. 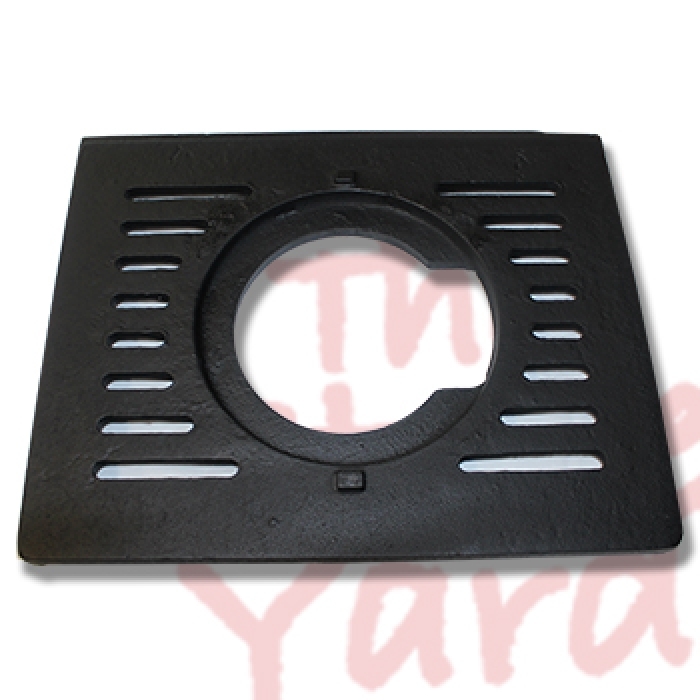 Made from Cast iron this Horse Flame Stove Spare Part is easy to fit. If your Grate Frame is burning through then replacing it should keep your stove working and burning efficiently, ultimately saving you on fuel in the long term.